Father Meina Albeir Youssef was born on December 28, 1957. 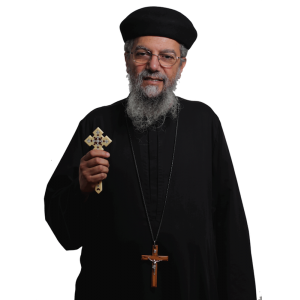 He was ordained a presbyter by His Holiness Pope Shenouda III on June 19, 1992. In 2007, His Grace Bishop Serapion elevated him to the rank of hegumen. In addition to his service in the Diocese, Fr. Meina served in Saint George Church in Alexandria (Sporting), Egypt.